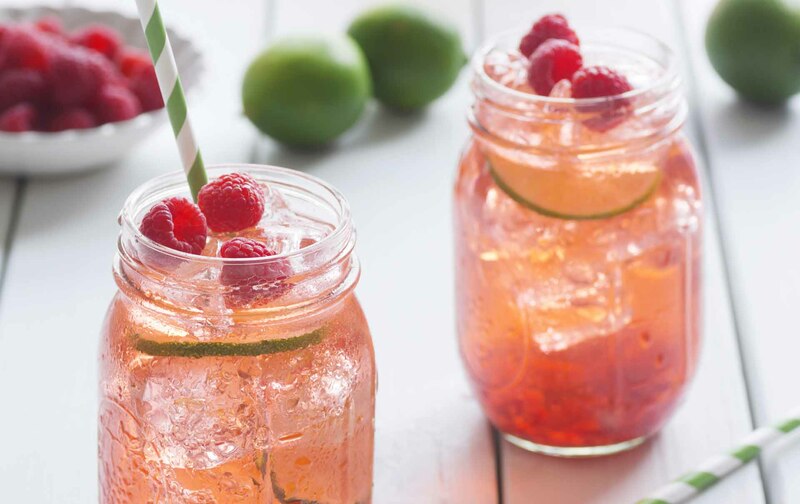 A deliciously easy, refreshing soft drink alternative. 1. Blend raspberries. Slice limes into quarters. Juice them and add to a large pitcher, ¾ full with mineral water. 2. Add raspberries, lime quarters, rice malt syrup and ice and stir well before serving.